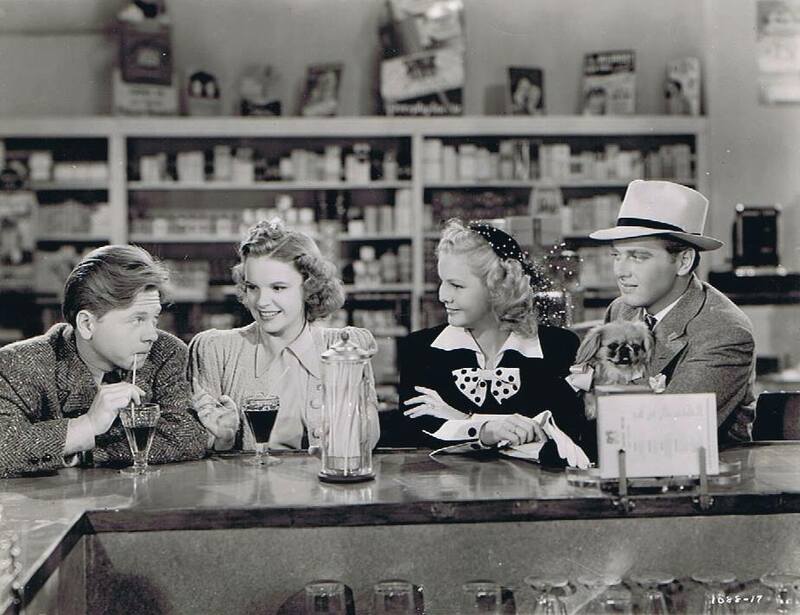 May 20, 1939: Judy, Mickey Rooney, and June Preisser were on the “Interior Drugstore” set filming scenes for Babes in Arms. 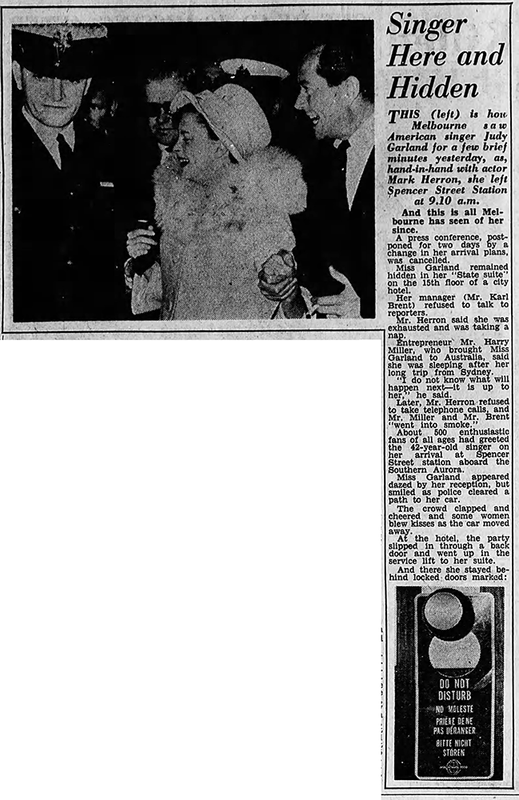 Time called: 9 a.m.; lunch: 12:40-1:40 p.m.; time dismissed: 5:56 p.m.
Also on this day, this news blurb about Judy breaking up “The Dead End” gang due to her romance with the “gang’s” leader, Billy Halop. Judy really did date Halop, however briefly, but the rest of the news story is, again, studio fabrication. May 20, 1940: Strike Up The Band filming continued with scenes on the “Exterior Holden Porch” (the “Andy Hardy” street on MGM’s Lot 2) and “Hospital” sets. Time called: 9 a.m.; dismissed: 4:45 p.m. The footage no longer survives but the audio does, and was first released on the 1977 LP “Cut! Outtakes from Hollywood’s Greatest Musicals – Vol. 3” and remastered, in stereo, on the 1996 CD soundtrack of the film released by Rhino Records. Photos above provided by Kim Lundgreen. Thanks, Kim! 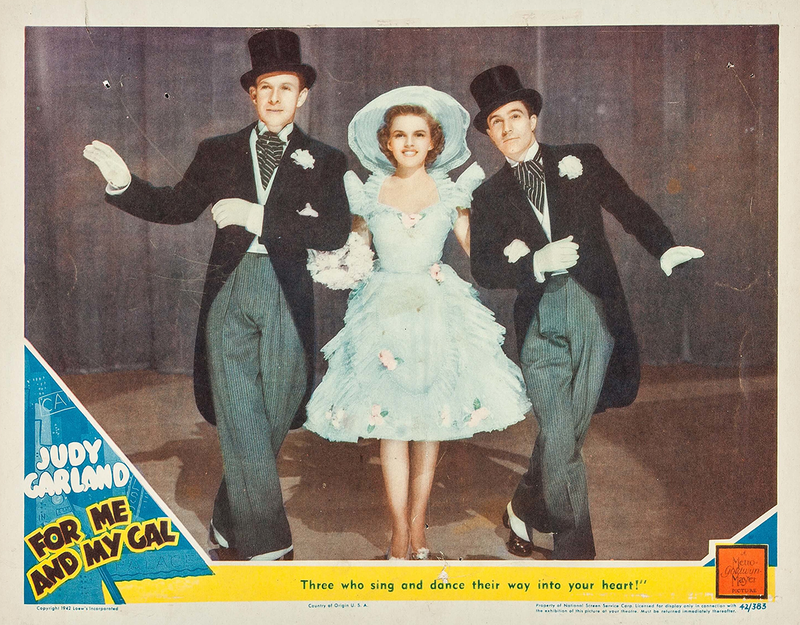 Judy recorded the singles on July 29, 1939, but they were not immediately released in the U.S. “Zing!” and the third single recorded that day, “I’m Just Wild About Harry,” were released in the U.K. on Decca’s Brunswick label in the spring of 1940. “Fascinating Rhythm” stayed in the vaults. 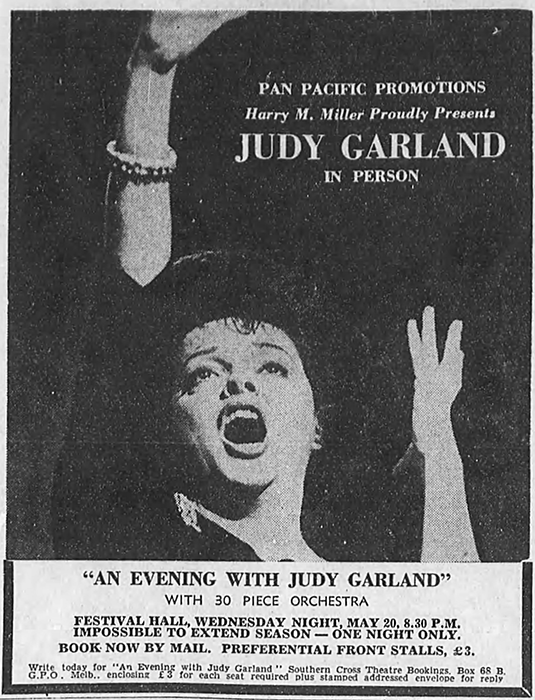 “Harry” was not released in the U.S. until 1984 when it was included on the fantastic MCA Records LP “Judy Garland – From The Decca Vaults. Decca went to their vaults to create this album, and a few new singles releases, due to a current music industry strike. The President of the American Federation of Musicians, James Petrillo, announced a ban on their members making any recordings when the union’s existing contract with the recording industry expired on August 1, 1942. 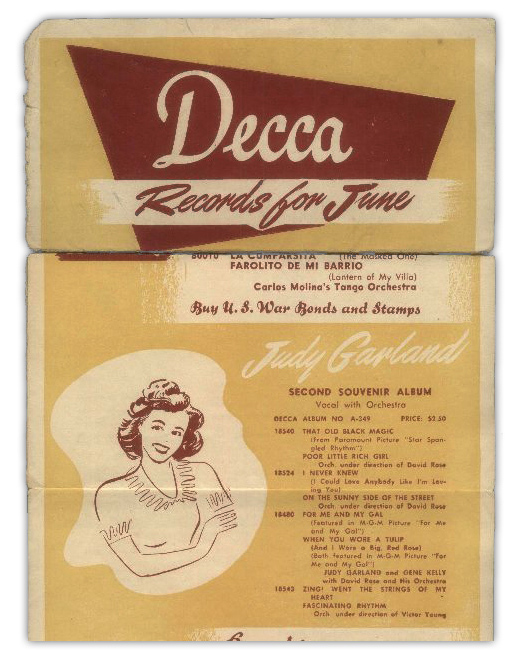 Luckily for Decca, they had several unreleased Garland tracks to choose from. Decca would be the first to settle with the union in late 1943. 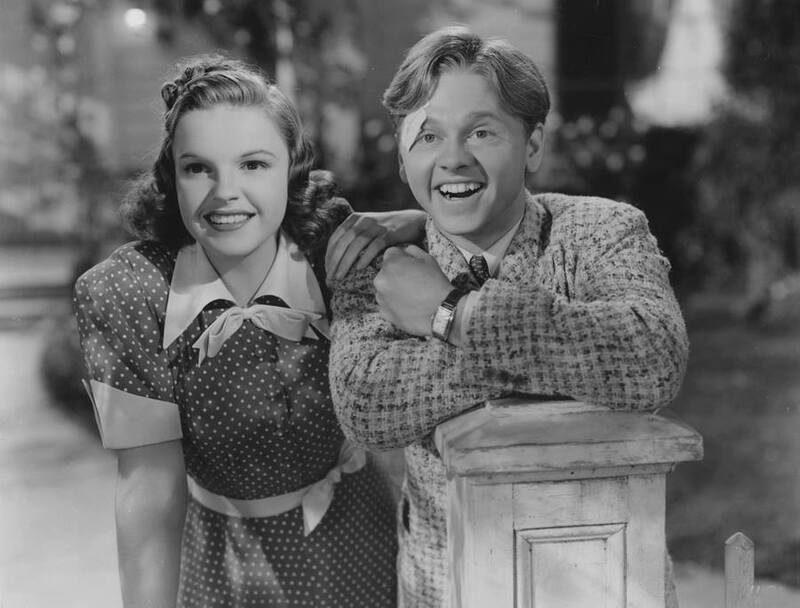 By that time, Judy had signed another contract to record another 12 sides for the label, which would result in the second Garland “Cast Album”, this time for her final co-starring role with Mickey Rooney, Girl Crazy (MGM 1943). 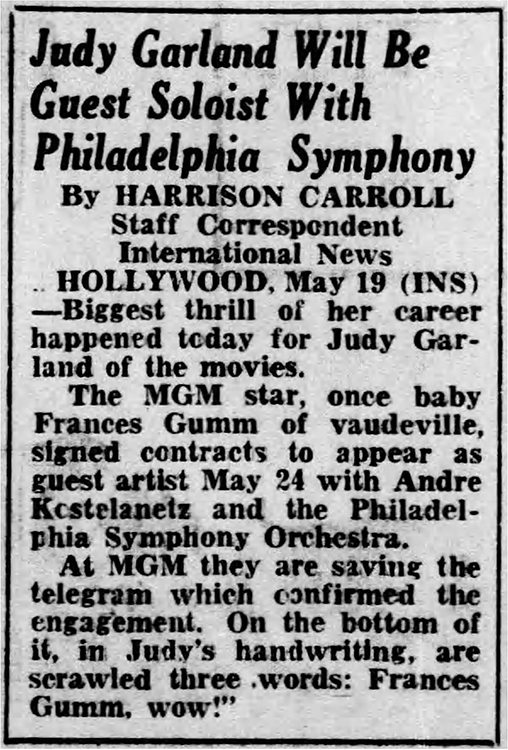 Also on May 20, 1943, this notice went out that Judy was scheduled to appear with Andre Kostelanetz and the Philadelphia Symphony Orchestra. Judy appeared with Kostelanetz at the Robin Hood Dell on July 1st (not May 24th as the notice states). It was, in fact, her very first concert appearance and a forerunner of her legendary concert years that began eight years later. 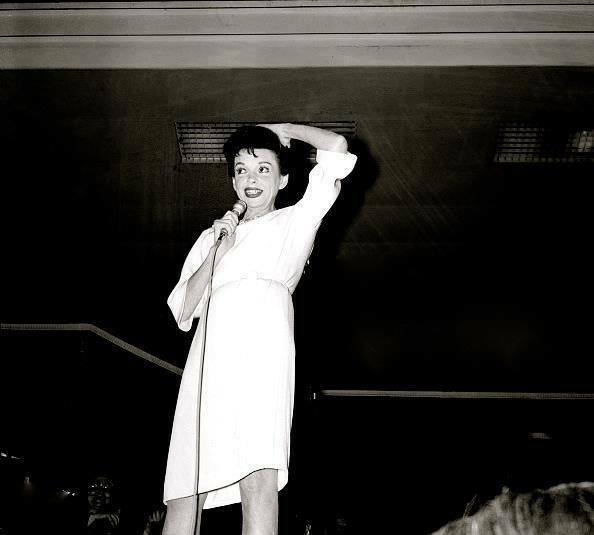 May 20, 1947: Judy enjoyed the first day of a rare five days off from MGM. 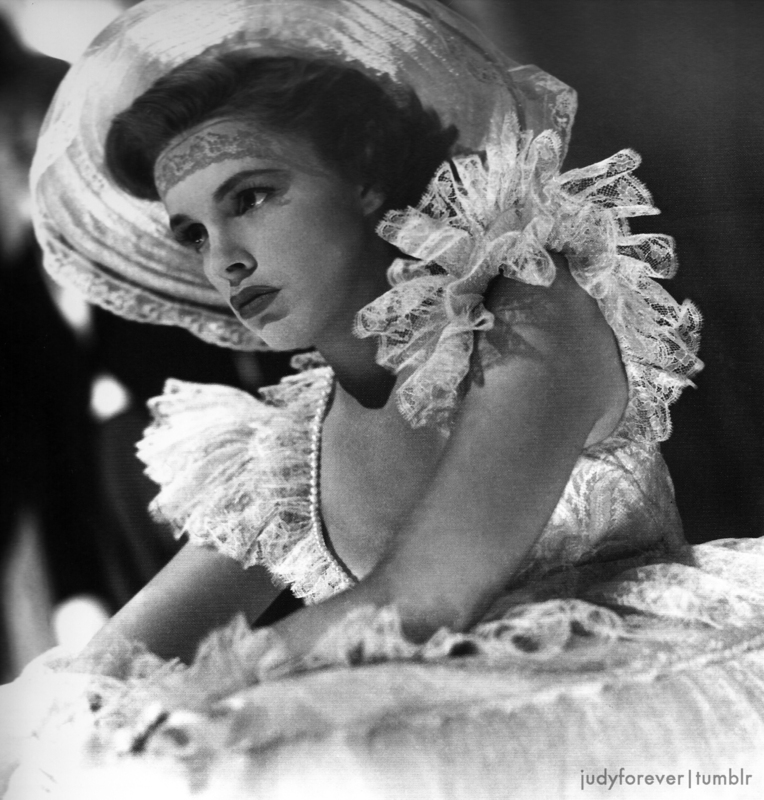 She had returned to the studio in December 1946 to begin work on The Pirate after having given birth to Liza Minnelli. Photo: Page from the MGM Casting Office Ledger, 1947; 1947 promotional portrait for MGM Records. 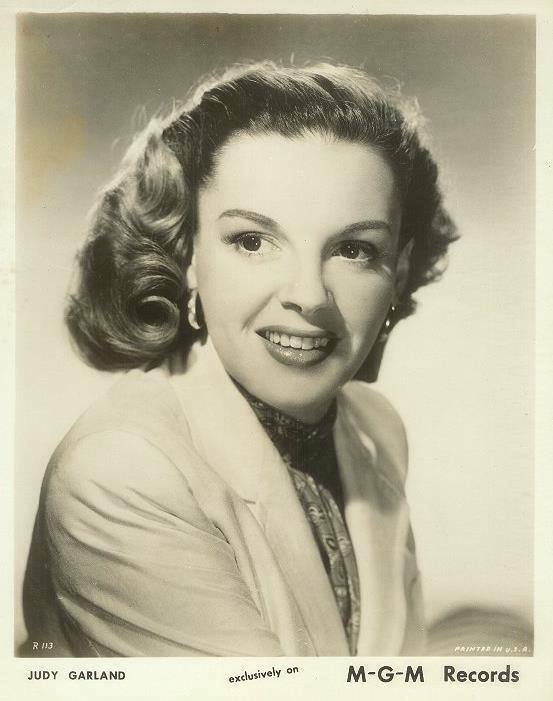 May 20, 1948: Judy returned to MGM after a rare two-month vacation. She had worn herself out filming both The Pirate and Easter Parade over the preceding year and a half and was dangerously thin. On this date, she began work on her guest appearance in Words and Music. 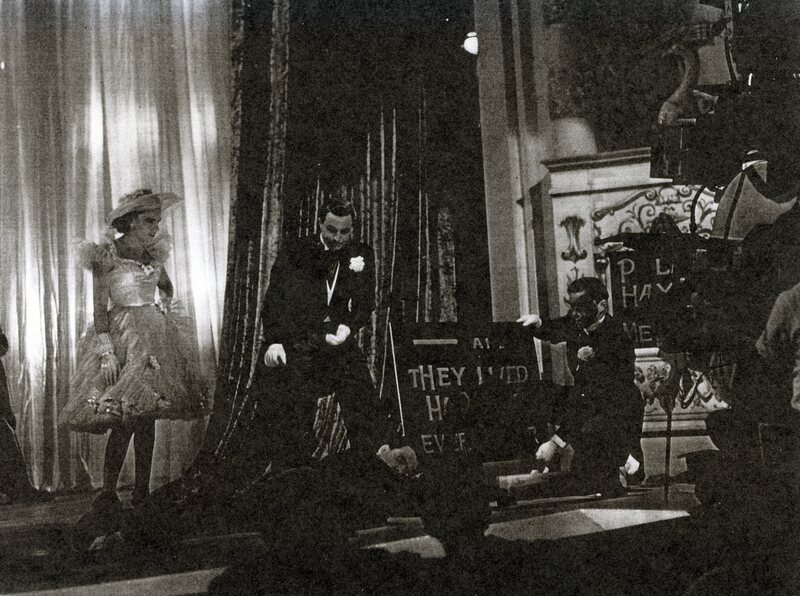 MGM paid her $100,000 for two songs to be performed in a party sequence in the film, playing herself. The amount was what they had withheld from her salary for the delays during the filming of The Pirate. 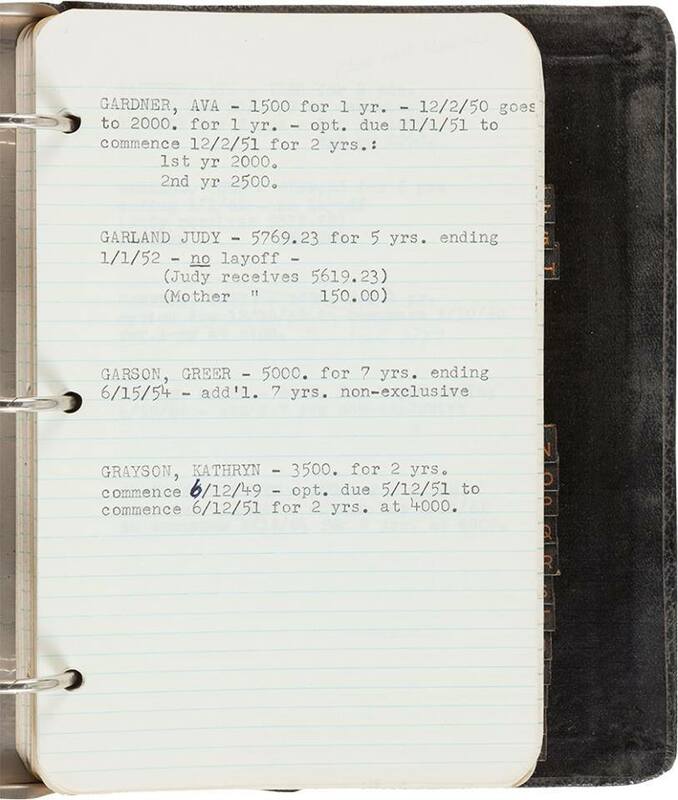 Judy was due at the studio at 1:30 p.m.; she arrived at 1:50 p.m.; dismissed: 2:30 p.m. 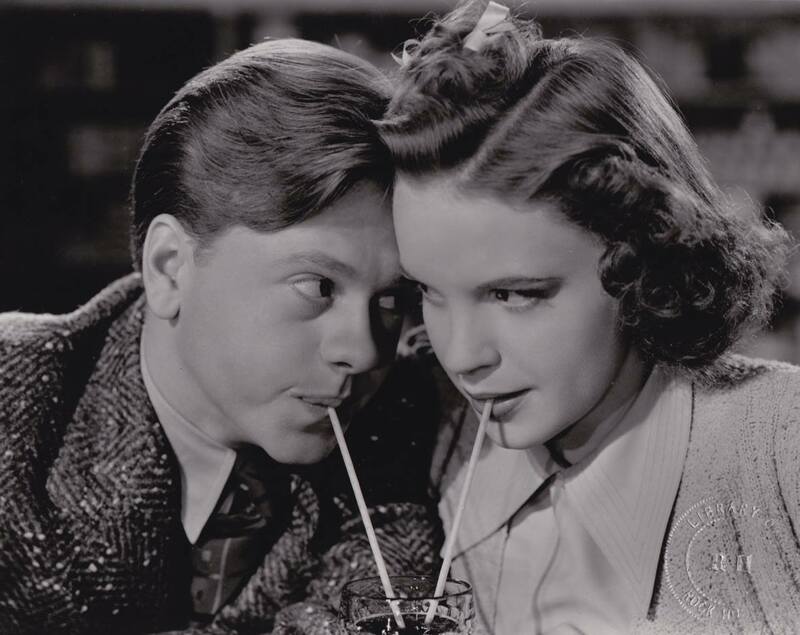 The time was spent rehearsing “I Wish I Were In Love Again” with Mickey Rooney. This was their last movie appearance together. Check out The Judy Room’s Extensive Spotlight Pages on Easter Parade here. 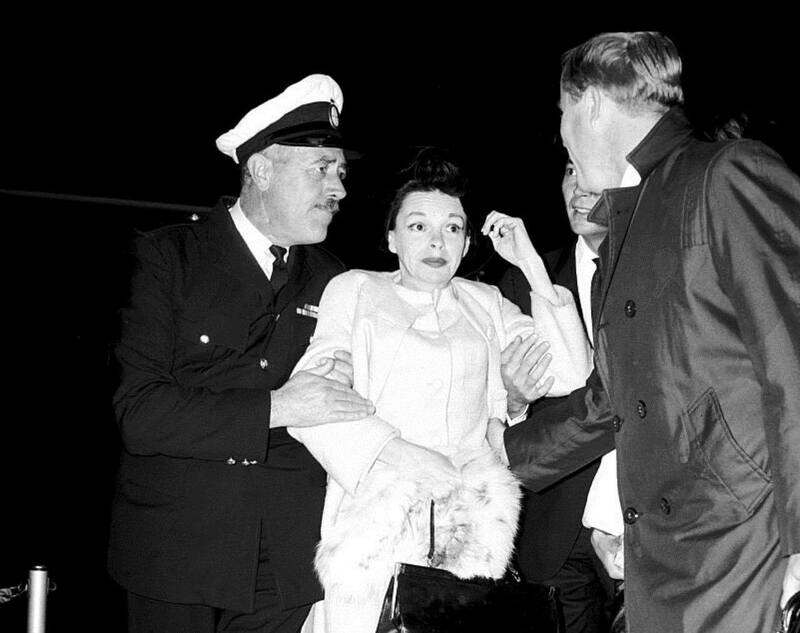 The case of Judy Garland grows more baffling day by day. Few actresses in Hollywood history have been more pampered; none, I’m sure, has ever made life more difficult for well-meaning employers. If you or I had, in cash, all the money that her sulks and tantrums – not to mention bonafide illnesses – have cost Metro-Goldwyn-Mayer we could invest in gilt-edged securities and live comfortably for the rest of our lives on the income. Metro’s patience has been phenomenal. Not until her “temperament” got so far out of hand that it promised to wreck a picture worth millions did the studio bosses finally – and reluctantly – level the boom and place her on suspension. Admittedly, it’s much easier to sit on the sidelines and criticise than it is to make the decisions in a case like Judy’s but I can’t help wondering whether M.G.M. hasn’t overdone the virtue of patience, thereby jeopardizing not only the studio’s interests by Miss Garlan’s as well. Her current suspension might have been an effective “spanking” if it had been handed out when she first began to get out of line but I’ll be money-to-marbles that it will do little good now. Pampered, deferred to and spoiled for years, Judy seems to have become a confirmed neurotic, incapable of controlling herself when the going gets the least bit tough. Certainly a four-week suspension, as announced by the studio, will be too weak a medicine to effect a cure. No matter what’s wrong with Miss Garland – deep-seated nervous affliction or just plain bad disposition – it’s going to require something more than a sugar-coated pill to get her back on an even keel. 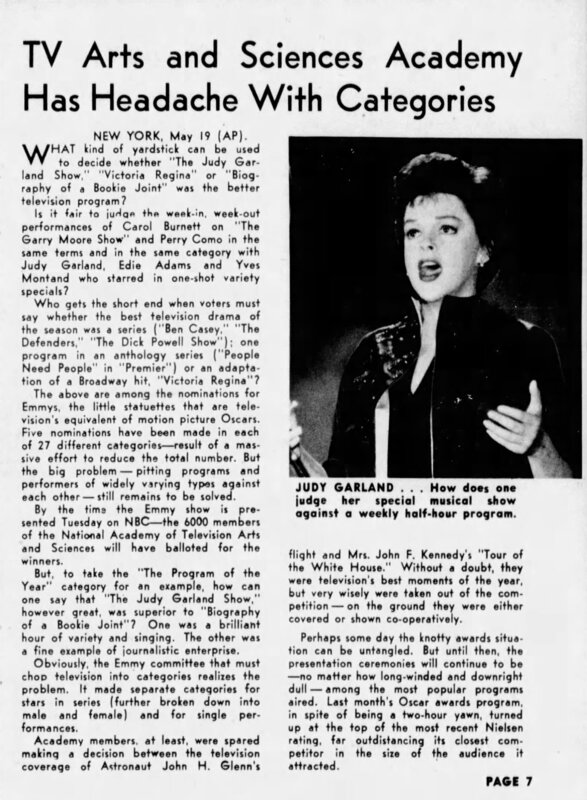 May 20, 1962: Judy’s recent TV special, “The Judy Garland Show,” (commonly known as “Judy, Frank, and Dean”) was nominated for two Emmy Awards, “Outstanding Program Achievements in the Fields of Variety and Music” and “Program of the Year,” losing to “The Garry Moore Show” and “Hallmark Hall of Fame, (Episode: “Victoria Regina”)” respectively. 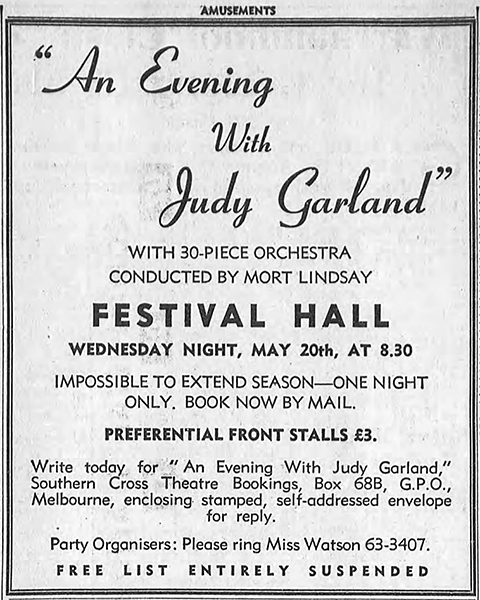 May 20, 1964: Judy’s Australian tour took her to the Festival Hall in Melbourne. 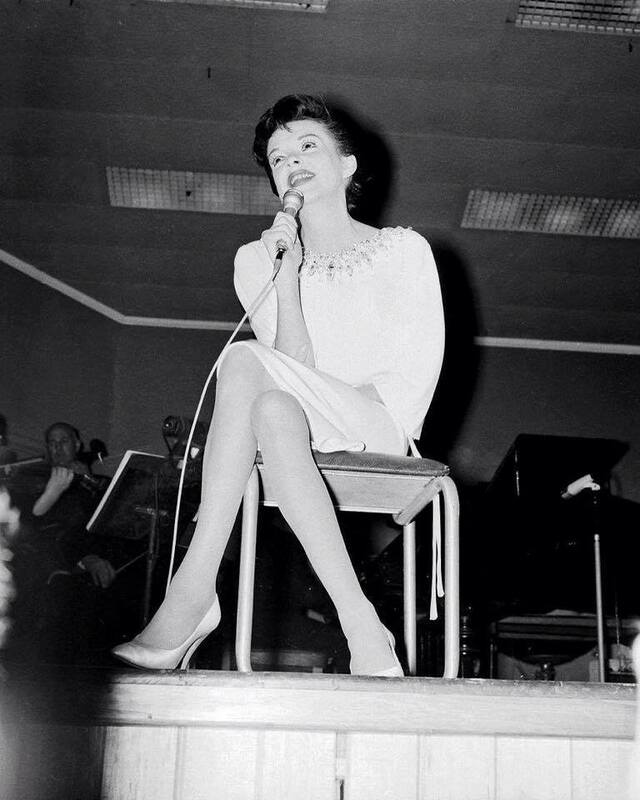 Unfortunately, Judy was an hour late and fighting vocal issues. The result was an angry audience. She only made it through half of the show before leaving the stage. The reviews were brutal. 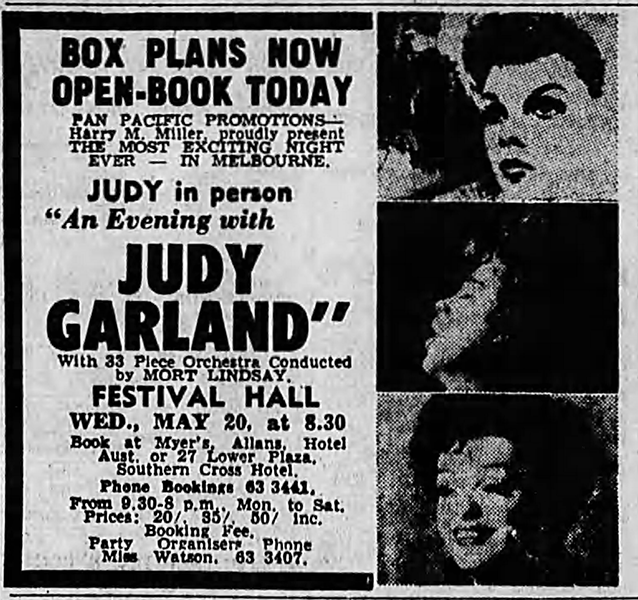 Sadly the whole experience would be remembered as a low point in Judy’s life and career in spite of the triumphs in Sydney just days before.